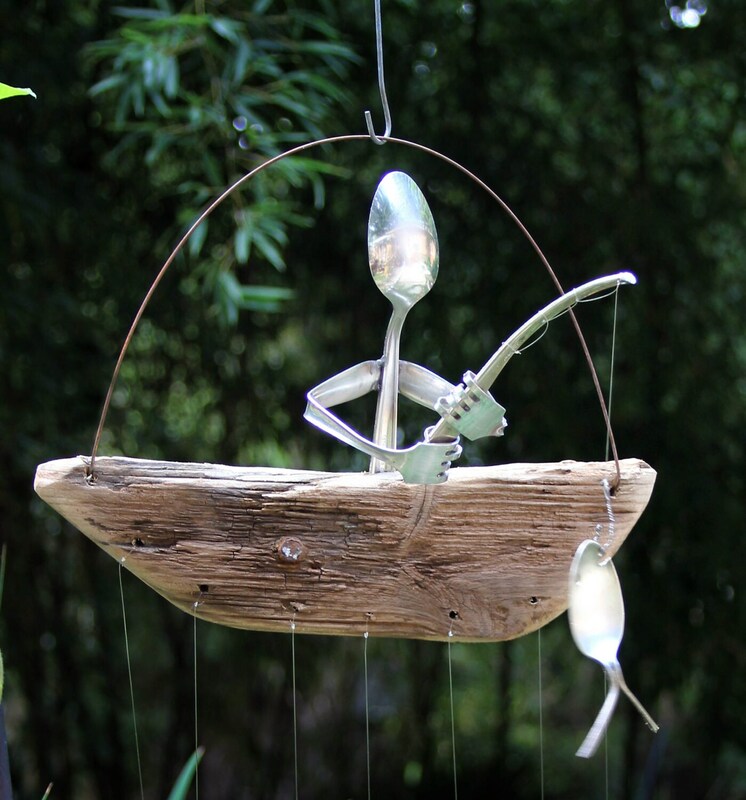 Flatware Fisherman Driftwood Wind Chime Garden Art Silverware Recycled Fishing Boats cyber Monday, small business Saturday, black Friday. Show Dad you care this Christmas with a wonderful handcrafted yet masculine chime. 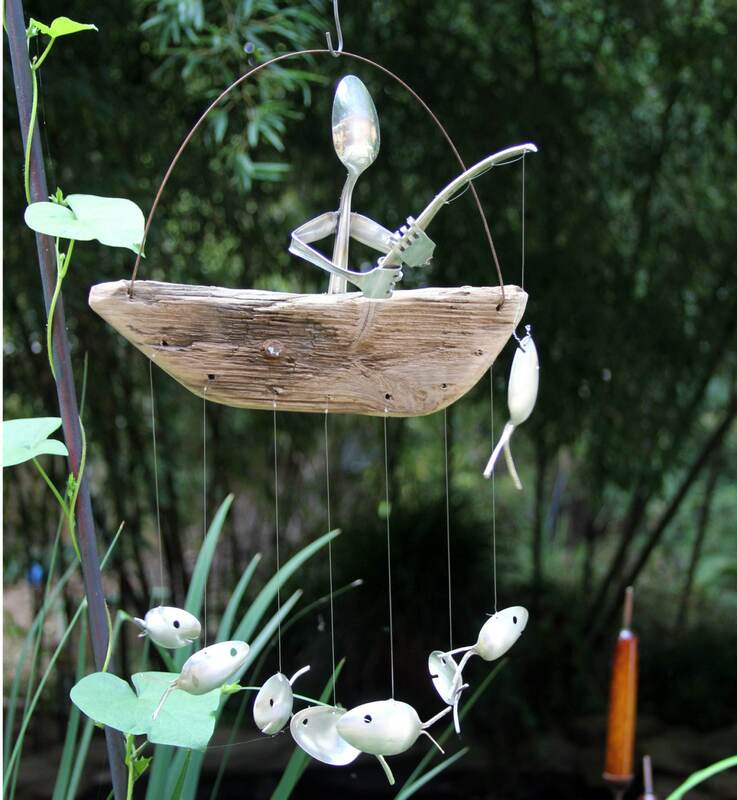 This Rustic Gone Fishing Wind Chime is a perfect gift for any fisherman in your life. Sitting in a driftwood dingy this spoon man has made quite a catch. Playfully swimming beneath is a school of silver plated spoon fish. 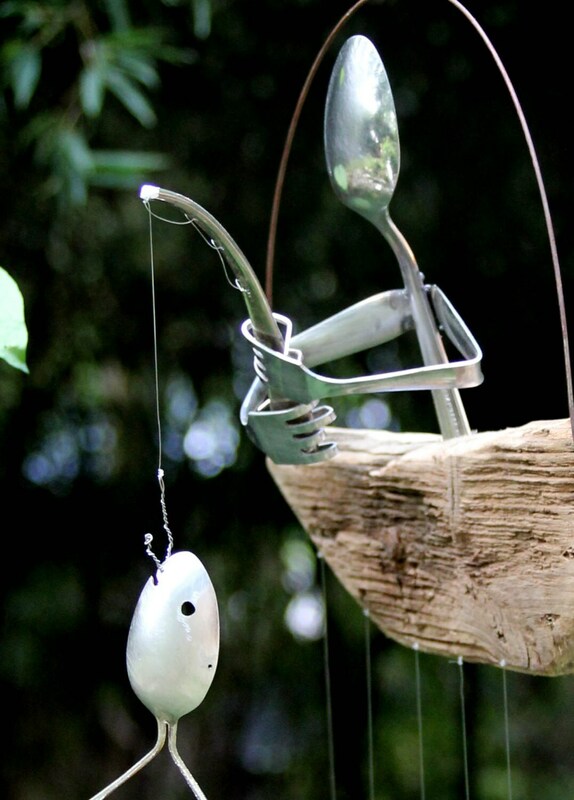 These unique and wonderful fish are created using recycled vintage and antique silver plated utensils. Fisherman is crafted from a high quality stainless steel. Each set is unique yet just as delightful as the one pictured above. Sit back, relax and listen to the chimes as they sing the stories of centuries past. Each boat, man & fish is handcrafted with care. Also available with a Fork Head for a spiked hair effect. To purchased the fork fisherman please see my other listings. 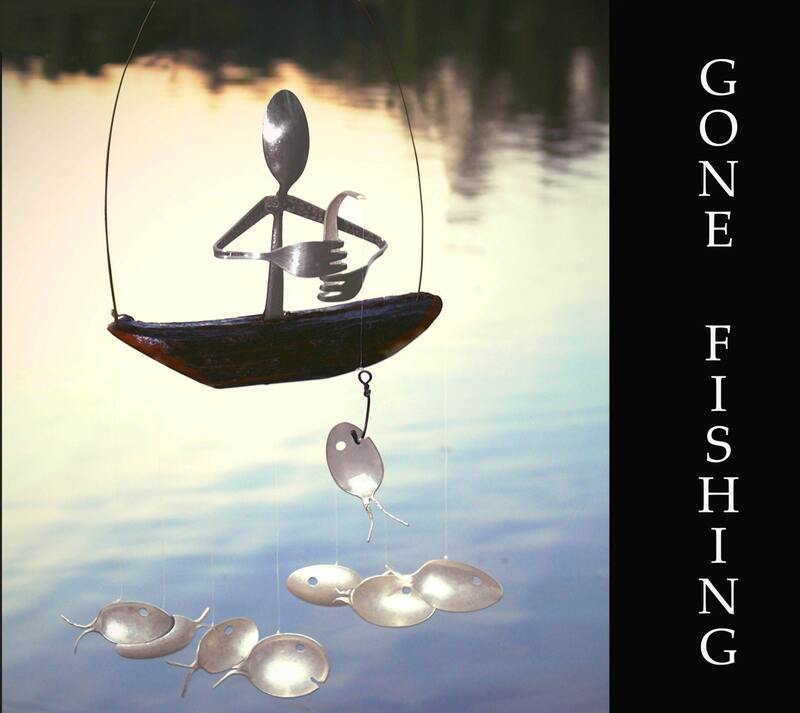 Home of the original spoon fish wind chimes! * We are dedicated to producing finely detailed, high quality, durable yet stylish decor for both the home and garden. The majority of our products are handcrafted using recycled vintage & antique silver plated Flatware. Some of our flatware dates back as early as 1800's. We try to keep our processes as natural as possible. The handmade nature of our products results in slight variations which give each piece a unique character. 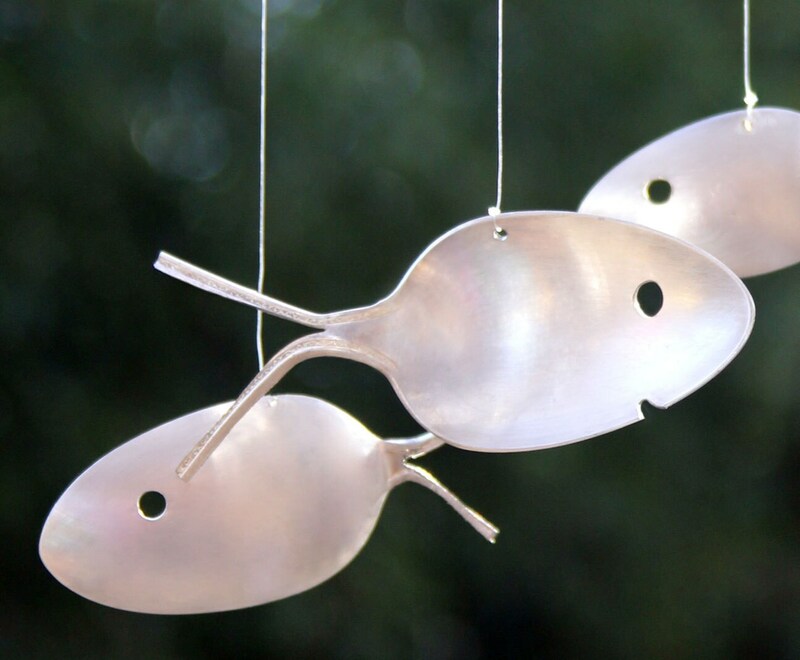 All our wind chimes are designed to withstand both indoor & outdoor environments. All driftwood is harvested by hand naturally from the shores, and depths of North Carolina Waterways. Driftwood is scrubbed, sanded ( if needed ) and sealed. All driftwood comes treated with a Marine Grade finish to protect it from elements for years to come. If you desire your wood to be completely untreated please simply send a note with your order when promoted to do so. Please Note: If you do desire untreated wood it is recommended you hang your chime indoors or in a semi protected area.